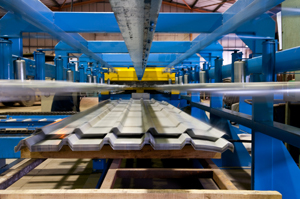 We manufacture in Devon from pre-coloured steel sheets and can supply a wide range of profiles and finishes. All are tailored to your requirements and we can match existing cladding if required. To assist in profile matches please complete and return our Profile Finder document. All our profile sheets are available in many colours. The standard colour finishes are Plastisol Leathergrain and Polyester and Natural Galvanised steel. 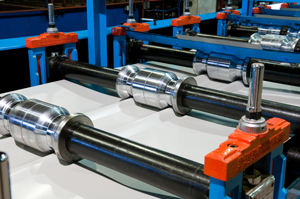 Project-specific guarantees of up to 30 years are available on some coatings. HPS200, Ultra and other finishes can be supplied. We are happy to quote on specific details. 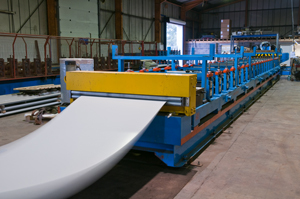 Available profiles include 1000/32, 1000/34, 1000/20 liner profiles and Corrugated sheets 8/3 and 13/3. Our roofing sheets can be supplied with AntiCon to help eliminate condensation.